Arissa obtained her Bachelor’s Degree in Psychology before graduating from Queen’s University with a Master’s of Science Degree in Physical Therapy. Prior to her Master’s degree, Arissa obtained ACSM International Personal Trainer Certification. Since graduation, Arissa has taken advanced training in soft tissue release, vestibular rehabilitation, and the Mulligan concept. She has also obtained Level 1 Advanced Orthopaedic Manual and Manipulative Physiotherapy, and is certified to perform IMS. Her interest in physiotherapy began as a patient following a motor vehicle accident. Her interest continued to grow through volunteer work in outpatient cardiac rehabilitation, inpatient orthopaedic rehabilitation, and community rehabilitation settings. 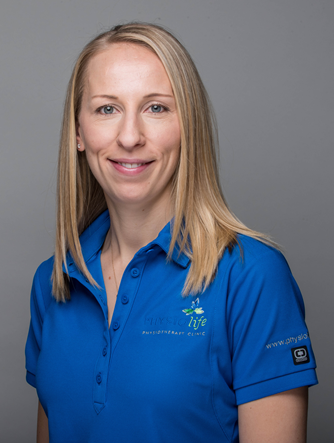 Arissa has clinical experience treating a wide range of conditions from workplace and motor vehicle injuries to sports, orthopaedics, arthritis, and pre/post surgical rehabilitation. Arissa is passionate about providing individualized treatment and empowering clients to achieve their rehabilitation goals through patient education, manual therapy, and exercise prescription.